All we can say here is eggs, eggs and more EGGS! Eggs are a KEY ingredient for your cupboard because they can go very quickly because they’re perfect for every meal whether it’s breakfast, lunch or dinner! One way to save money but enjoy the perfect breakfast involves this much-loved ingredient. Take an omelette for example, 3 eggs with peppers, onion and mushrooms is a filling breakfast but you can also use the vegetable for a pasta dish for your lunch or dinner so you’re even saving money! Scrambled egg goes with so many dishes whether it’s with toast & bacon, salmon & avocado or even just with 2 slices of brown toast! Ok .. Hi Lovely peeps, I havent posted since Day 27 so here goes … We have had some very very hot weather but I’m still going. Day 28 I did 2.5 Miles I’m loving running in the sun but I’m waiting until the evenings as its a little cooler and I have to confess to getting the running bug. Its helping me with overall fitness levels. 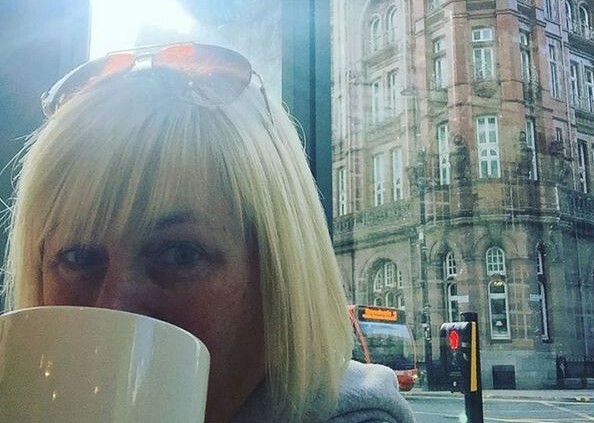 I would class myself as relatively fit for my age but my stamina over long distances has always been an issue for me especially after being a smoker for 20 years … two years smoke free now woop woop .. yes roll of eyes I used to train and smoke but none of us are perfect. Big achievement by day 32 I did 6.2 miles (10k) the first time ever without stopping … pat on back from self .. I was super chuffed and came in at 1 hour and 10 mins. 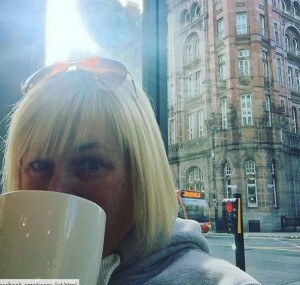 The only thing I can say really hurt was my ankles for a couple of days and I really don’t know what to do about that as it’s just strength and getting used to the pounding … and gulp have entered my first 10k at Tatton Park. I kept the runs short for a couple of days to to rest my weary legs ;-). Day 35 to 40 Well boy did the weather change … wet wet wet and I’m not sure if it was a relief or if I wanted to cry !! 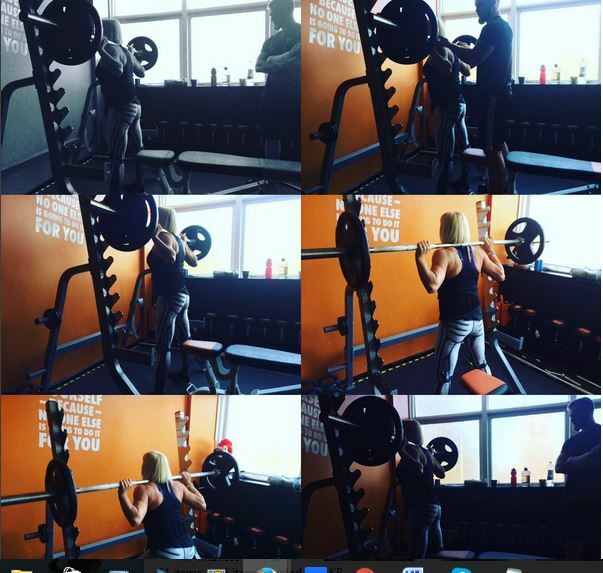 I got through it though and am still managing to get some strength training in, including hack squats, boxing sessions and circuits. My stamina is definitely improving but on some days the pace is still quite slow when my legs are tired after other sessions but this I can live with as long as I keep going. Sometimes I think I am better off slowing it down and going further rather than trying to chip down the time on just one mile. 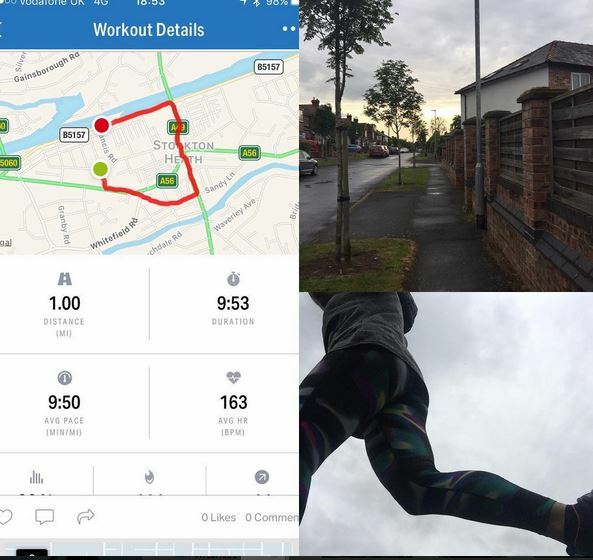 Day 40 Boom first 10k done !!! 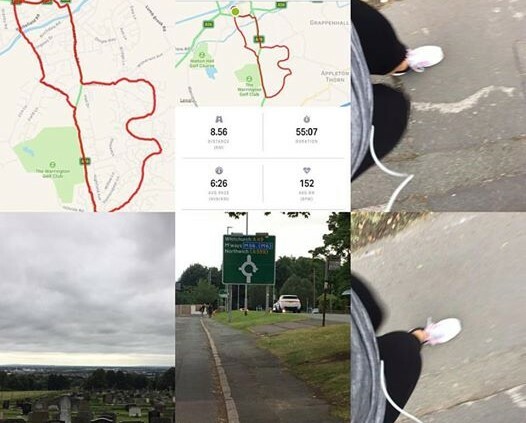 1 hour 2 minutes 43 seconds … not the fastest but for me its a personal best and I never gave up, stopped or let it beat me … thats definitely another fear conquered … sometimes it’s the fear that holds us back and can be our biggest enemy .. well I just beat mine so onwards and upwards. Day 41 to 48 … ugh well the Neurofen is out .. nasty cold and virus and it’s knocked me for 6 … still getting out though but keeping them at about 2 miles just not feeling it while I dont feel so good and that really doesn’t help the motivation. 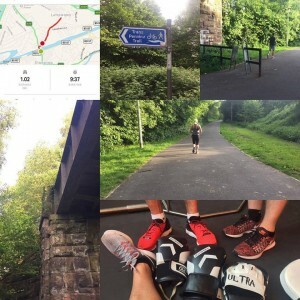 Day 48 – 52 Back on form and we have had a few swelltering hot days but even managed to get a sneaky 5 k in with the lovely Jon .. it was very slow but at 28 degrees I was happy with that. Been and done 8.5k today as its was a little cooler and discovering again that some paths / routes just aren’t great for my ankles so I’m a bit achy but the breathing was good I didnt stop and was actually surprised at some of my split times as I am trying to change my routes to less flat ones so I can get used to these hills. Please feel free to share your challenges and acheivements and I will be back soon. Day 27 today, the legs are still aching a little but I am definitely getting used to running everyday now. I’ve managed to pick my speed up over a mile which is a great confidence boost. I started at around 11.30 minutes and for the past couple of days have consistently hit 9.25 .. which for professional runners is probably still really slow I’m just happy I’m still moving. 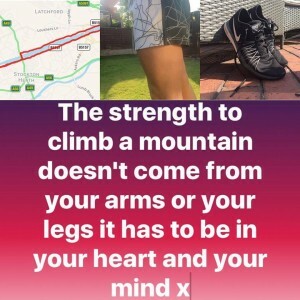 Generally now I am not worrying about speed it’s more about picking up my distance and not stopping when you hit a brick wall even if I only do 2 miles I’ts still more than I have ever run before. I find myself watching other peoples running styles and changing my own slightly as I was definitely to flat footed when I started. Iv’e tried various things some work for me some don’t ……………. what works for you ?? Sophia deals with the day to day running of the office, taking calls, organising staff and generally making sure everyone is where they’re supposed to be. As you can see Sophia takes her fitness seriously. When she’s not working behind the scenes at Zebra Removals she can usually be found in the local gym lifting weights and swinging kettlebells. 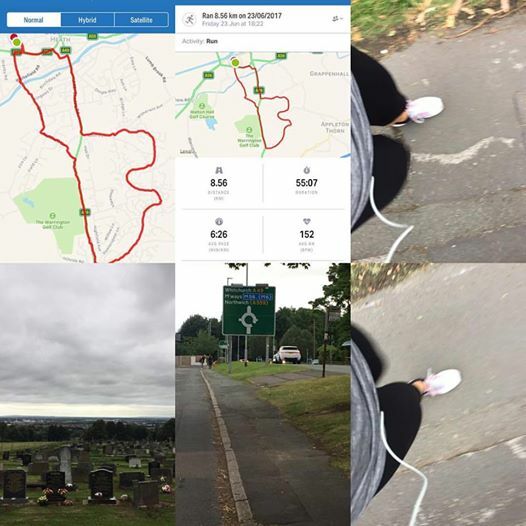 However Sophia’s embarked on a new fitness challenge, she’s running a mile a day for 100 days and we make that ……. 100 miles. 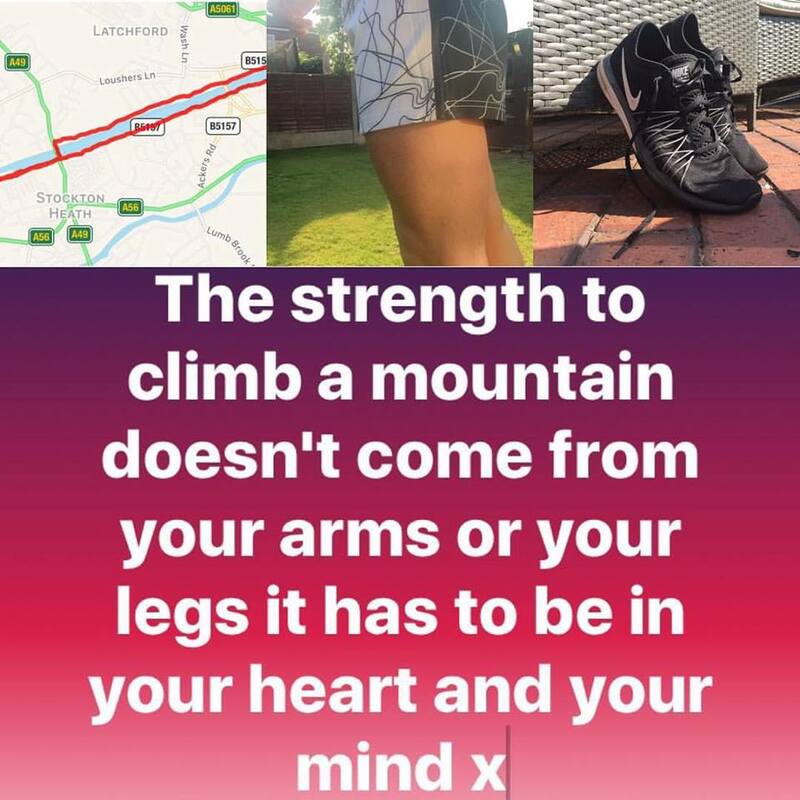 That’s a pretty tall order especially as Sophia herself admits she’s not really a keen runner and much prefers being a girl who lifts. Sophia’s currently on day 20 of her 100 day challenge and so far she’s going strong. Most days she actually packs in more than a mile and her mile time has droppped from aound 11 minutes to 8.5 minutes. You can track Sophia’s progress on her Instagram account https://www.instagram.com/chugie1sophia/?hl=en and she’ll also be guest blogging on this blog. If you’re around the Stockton Heath area keep a look out for Sophia doing her stuff, she’ll be the one in the multi-coloured leggings running down the high street with a determined look on her face.